Sandhja Kuivalainen was born on 16 March 1991 in Helsinki. Sandhja was born to a Indian-Guyanese mother and a Finnish father – a mix of the north, east and west. Sandhja is trained as a nurse and has previously worked as a nurse at Jorvi hospital. She has also competed on a national level in kickboxing and boxing and won some Finnish championship medals. Sandhja started to composes and writes her lyrics in her teens, without ever attending music school or taking singing lessons. She wants to be free to say what she truly feels and hopes to arouse emotions in her listeners. Sincerity is the keystone of her music. Roots of Sandhja's music springs from her mother's side, from Guyana, South-America. Her grandmother from two generations ago was a locally known singer who sang in weddings and funerals. Singing was a way of releasing the pains of her hard life. Her parents were forced by the British to leave their homeland India to work in the sugarcane fields in South America; Sandhja's great grandmother was born in the ship leaving from India to Guyana. As an artist Sandhja sees herself as her great grandmother's successor, as an interpreter of deep emotions believing in the empowering and healing nature of music. 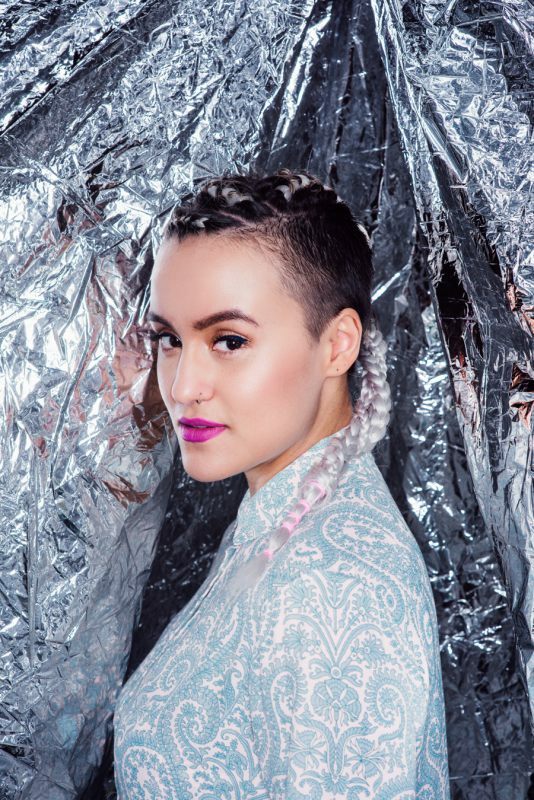 Sandhja met producer at the age 18 and at age 21, she got a record deal. Sandhja released her first single, "Hold Me", on 15 November 2013. YleX radio station reporter Pirita Pykäläinen has chosen the track to be featured in Viikon teho and it has also won Rytmibarometri vote. The song was published alongside with music video, directed by Ville Nuorahon and filmed in Israel. 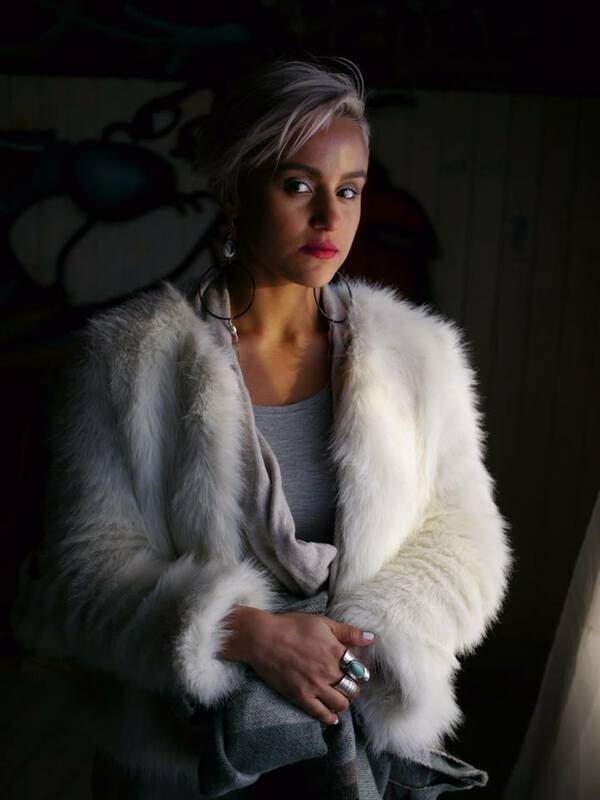 Sandhja's second single, "Gold" got a feature in YleX' Uuden musiikin iltavuorossa, when a reporter Venla Kokkonen played it in the program on 24 February 2014. Artist's debut album "Gold" was published on 23 May 2014. "These shoes are squeezing the essence of my root, so I choose to walk barefoot" - these lines from the track "These Shoes" on my debut album summarize how I see myself and my music. I want my music to be a source of joy and fun as well as a reflection of the deepest sorrow. I hope that when people listen to it they can forget about their worries and surrender to their feelings. I believe that vulnerability is strength. When you lower your guard you can find yourself", says Sandhja. Sandhja has travelled to Guyana and Jamaica to find inspiration and influences for her second album "Freedom Venture", which comes out on 29 April. Two singles have already been released from the album. They are "My Bass" and "Sing It Away", the latter being the song that she represents Finland with in the Eurovision Song Contest in Stockholm. "We have a very strong "girl power" theme in our show. I have 5 back-up singers that sing, dance and party with me on stage. All of them are my very good friends in real life, which makes it easy to have fun with them on stage. We have a very strong gospel-soul sound in our singing and we love jamming on stage! ", explains Sandhja. "Supporting Finnish craft and design is very important to me and our goal is to use mainly Finnish brands in our Eurovision stage styling", she adds. "The motto of my song is: get it out, sing it out. Things can be really tough in life, but by focusing on the joy, the pain's over. Making it to the Eurovision Song Contest has brought me the recognition that I wanted. It also brings me a lot of valuable experience in performing to a large audience and to live cameras. Eurovision also brings me the opportunity to expand my musical career to Europe, which has always been my dream and ultimate goal"
Both Eurovision semifinals and grand final will be broadcast in Finland on Yle TV 2. The 2013 Eurovision representative Krista Siegfrids will be reporting live for Finnish TV on Finnish delegation adventures inside and outside the Globe Arena and around Stockholm. Reports of Krista will be available from Friday, 6 May on Yle.fi website and on social networks with hashtag #euroviisut. Preview show Esikatselumaraton will be broadcasted on Saturday, 7 May at 19:10 on Yle TV2. Four hour event will be hosted by Rakel Liekki with Eurovision videos assessed and scored by a four-member jury, which will include among others Jaana Pelkonen and Mikko Silvennoinen. Also, viewers can during the broadcast also vote for their favorites. Swedish language broadcaster Yle Fem will continue showing it's preview show De Eurovisa every Saturday up to 7 May at 21:00. All episodes also can be viewed on Yle Areena with Finnish subtitles. Yle Teema will air recorded Finnish national Eurovision preselections 1989-1992 from 10:00 to 15:25 on May Day, and on Thursday, 5 May at 16:30 will broadcast Conchita: The Austrian queen documentary. A whopping 50 hours of Finnish Eurovision history is offered in Living Archive. 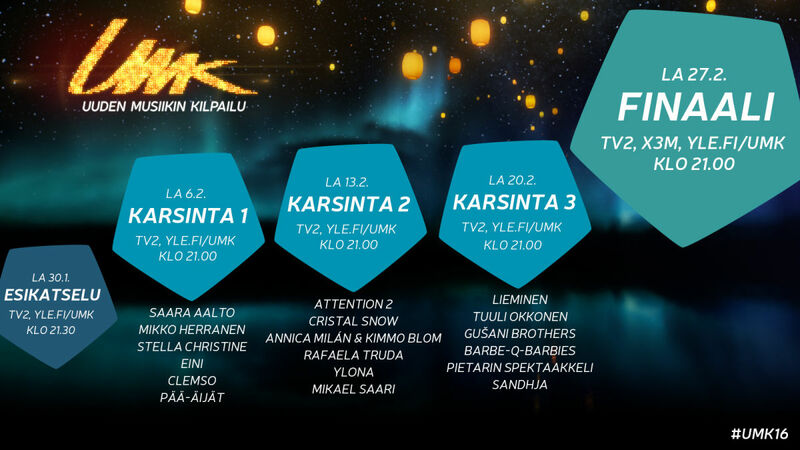 On Thursday, 5 May Eurovision Song Contest Previews will be broadcasted on Yle Radio Suomi at 15.08 - 18.00. "On the one hand UMK victory hasn't changed anything in my life at all, but on the other it did change quite a lot", says Sandhja in the interview to Lansivayla. "Now people recognize me on streets, I've got more gigs, more followers and I also gained appreciation as a musician, but I go to coffee shops in the same way as before". As a composer and lyricist Sandhja is a self-taught musician. She says she felt some inner need to make music. As teenager, Sandhja started writing poems, and then began to add melodies on them. Her first public performance took place in an Espoo-based Postipuu school. "I sang at a school free platform event some old soul music with a piano accompaniment. I was in 3rd grade, and 1st graders came to ask me for an autograph. I said, I am not a celebrity, but they said that you may become someday", Sandhja recalls. "For me participation in the Eurovision is most important because my song has a message. And it is great to bring something as uplifting as Sing it away", she says. The idea to enter UMK came from her record company. "I've been making music spontaneously and I did not even have dreamed of singing competitions. But I liked the idea in the end, because I thought that getting on TV is important thing to make more people familiar with my music". Pop, folk and soul always were the most interesting genres to Sandhja and they are her musical roots. She also likes electronic, airy music. "I've been thinking a lot how all these could be combined or should I keep them separate". Sandhja wants to do songs in English, which is her second language. "I find it easier to write about love affairs in English, it turns to be more artistic, while I feel that Finnish lyrics often bring melancholy feel or downright realism". Alongside to her first steps in music Sandhja was studying to become a nurse. She is still maintaining her professional skills doing casual jobs at Jorvi hospital. Her ultimate ambition is that in the future she could support herself as an artist and as a songwriter. "Lately I've been thinking a lot about how could I promote women's cooperation in the field of music. Nowadays the area is completely male-dominated. In the future, I could make music to others and to help new artists to raise to the top. These are the things that can be realized within a period of 5-10 years. Now, the creation of my own career is the top thing". Sandhja's calendar is now so full that she did not really thought about her life after the Eurovision Song Contest. "I have some agreed gigs for summer, but what else I will be doing is depending on the outcome of Stockholm". 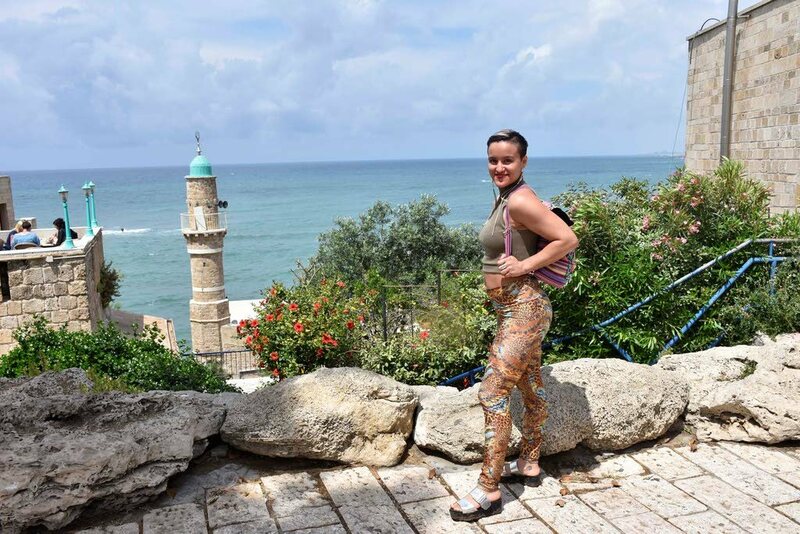 Prior to the Eurovision Sandhja has travelled to Israel to perform at promotional party, give interviews to local and international press and make various other appearances. At the same time she and her team have been shaping the stage presentation of the entry. 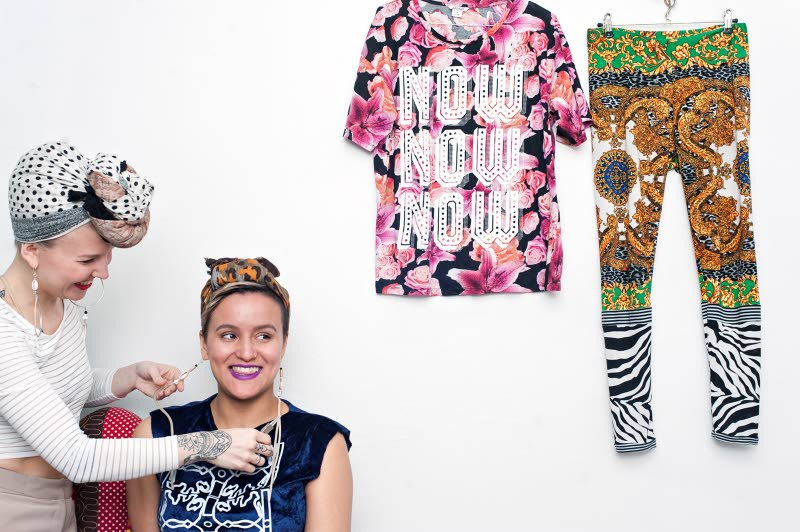 The outfit and accessoires for Sandhja have been chosen with the help of stylist Hanna Ruax. The idea is to make similar style outfits and jewelry to the whole Finnish team, which will also feature 5 backing singers (and the DJ who was present at the national performance is no linger part of it). "This is quite a challenge, as women are different in size and appearance", says Hanna. "For this we have been looking for partners in the small Finnish design brands", she says. "Now, after return from Israel, I still need to fine-tune the last of the things right before the departure to the Eurovision Song Contest. I have a dazzling outfit, so I'm looking forward to it", says Sandhja who will travel to Stockholm on a May Day. Finnish broadcaster has prepared present to the Eurovision fans and published today all 5 episodes of the Swedish language preview show De Eurovisa on YLE Areena. Also show can be followed on YLE Fem on Saturdays at 21:00 local time. Finnish Eurovision Song Contest representative Sandhja will perform the national Finnish anthem next Saturday at Hartwall Arena at the evening of professional boxing, which culminates with Robert Helenius and Johann Duhaupas fighting at WBC Silver title match. "I have the same feelings as with performing at the Eurovision Song Contest. A valuable and at the same patriotic feeling. I'm really going to be excited to have the opportunity to influence the atmosphere of the event", says Sandhja. Finnish Swedish language preview show De Eurovisa will be aired on YLE Fem starting from 9 April. 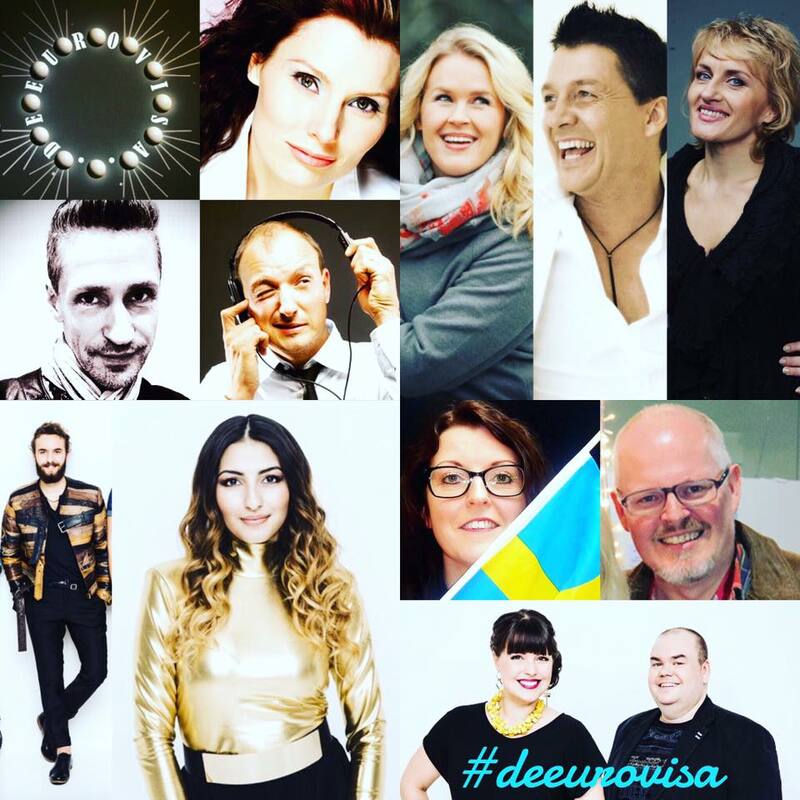 Filming of the show will start next week, and there will be 10 guests involved: 1st program: Radio/TV host Hannah Norrena and Janne Engblom (Eurovision 1990), 2nd program: Eurovision blogger Lilian Brunell and composer Patric Sarin, 3rd program: Ami Aspelund (Eurovision 1983) and Paul Uotila from Satin Circus, 4th program: Geir Rønning (Eurovision 2005) and Rafaela Truda (UMK16 participant), 5th program Marika Krook (Eurovision 1998) and Eurovision blogger David Lindström. As usual, show will be hosted by Johan Lindroos and Eva Frantz. All episodes will be made available on YLE Areena on 9 April. 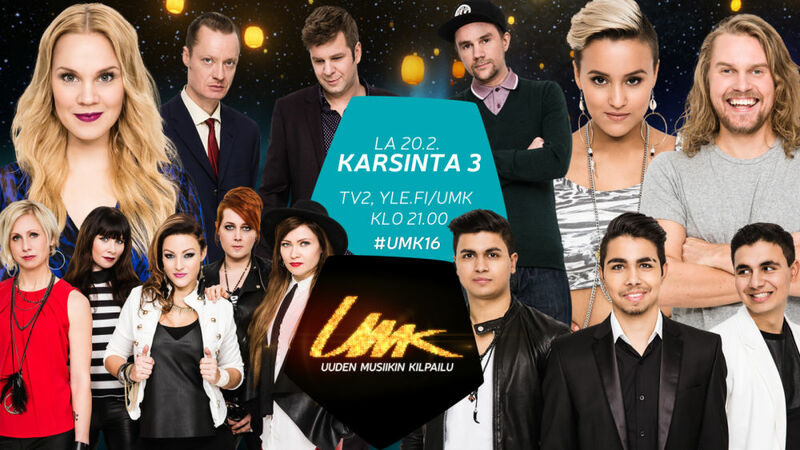 UMK (Contest For New Music) has again acted as Finnish preselection for 2016 Eurovision Song Contest. National preselection rules in English are available here. Demos were accepted between 1 September, noon, and 8 September, noon. Artists could take part as solo singers in just one song. At least one of the writers and the lead singer(s) had to be a Finnish citizen or live in Finland permanently. All performers taking part in the contest must be 16 years old by May 10th. The song may be longer than three minutes, but when contestants go further they pledge to comply with EBU rules and make a three-minute version of their song. Same applies to the stage performances, in national preselection the ensemble may have more than six people on stage, but contestants have to take into consideration that, according to EBU rules, in the Eurovision Song Contest only six people can perform live. The entry must be previously unreleased before the official UMK presentation date. Demos must be sung, be of a high production standard and, besides the melody, also the outlines and ideas of the final arrangement must be heard in them. Entrants qualifying to the further rounds will be required to produce final version of their entries either independently or in cooperation with an associate chosen by Yle. A jury of experts appointed by Yle has picked up the entries (artist + song) that proceeded to the further stages of competition. 15-second instrumental samples have been published on Instagram on January 1. 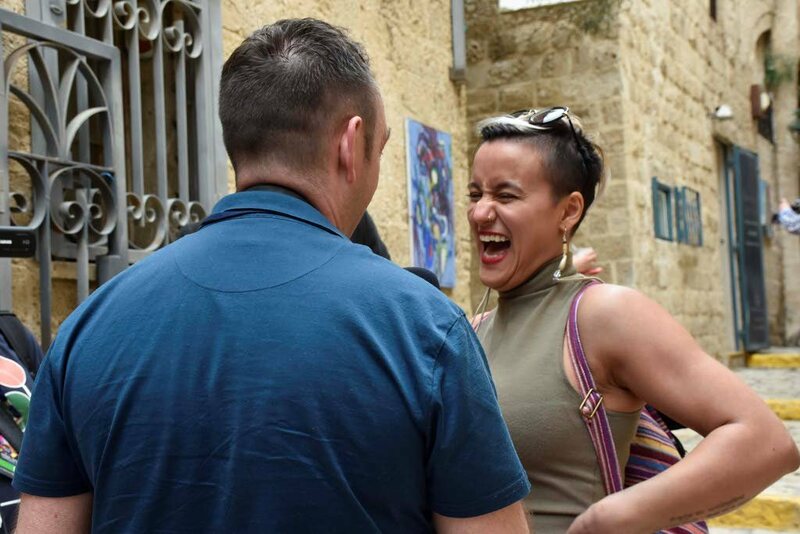 The official list of semifinalists and their entries were revealed on 12 January, and can be heard here. A music video for marketing purposes was made out for every song that is chosen to take part in the contest. The TV part of the event has started with the introduction show, which was aired on 30 January at 21:30 at Yle TV2 and presented music videos of the participating acts, with the audience selecting best video. The jury accessing videos was Mikko Silvennoinen (TV host and journalist), Jaana Pelkonen (host of Finnish finals 2005–11 & Eurovision 2007), Tommi Manninen (radio host), Essi Hellén (actress). Viewers were also invited to vote on music videos on YLE page. From 31 January to 19 February participants were guests of live broadcasts on UMK Facebook page - the schedule. Three semifinals were broadcasted live from YLE studio in Pasila, Helsinki on Yle TV2 on 6, 13 and 20 February at 21.00. From each semifinal three competitors chosen by the audience proceeded to the finals, thus in it competed nine acts, and the voting was shared between televiewers and the jury. Advance voting was possible online free of charge by creation of personal YLE account, while during broadcast audience could vote with their phones. Revenue from the voting fees went to the charity "Nenäpäivälle" (Nose Day Foundation) supporting projects in developing countries. Fans were invited to fill the form here if they wanted to attend the shows live. All shows were hosted by familiar faces: a famous Finnish actor/singer/rapper Roope Salminen and previous UMK-winner and a representative of Finland at Eurovision 2013 Krista Siegfrids (who was absent in the 2nd semifinal due to her participation in Melodifestivalen preselection in Sweden) with Rakel Liekki reporting from Greenroom. Rakel Liekki and Mikko Silvennoinen presented an after-show programme. Yle was compensating contestants for moderate travel and lodging costs that have been negotiated with a Yle representative in advance, not including any costs for travels from abroad. 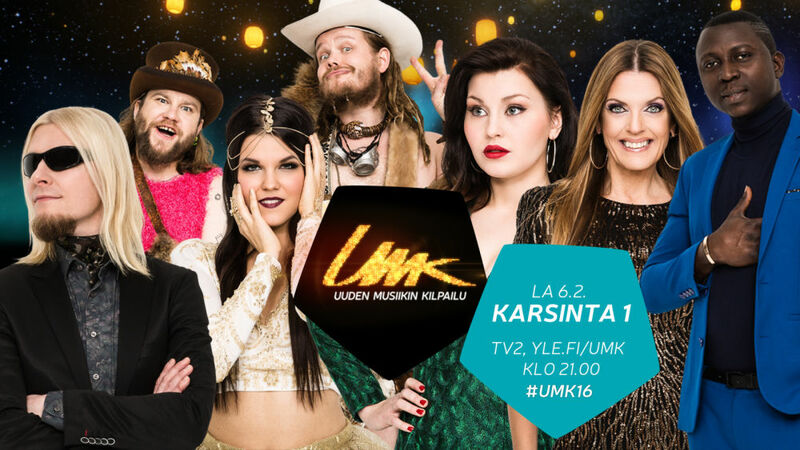 The winning song was picked on the UMK final in a live broadcast on 27 February 2016 on YLETV2 as well as on Yle Radio Suomi and with commentary in Swedish by Eva Frantz and Johan Lindroos on Yle X3M. Interval acts for the semis were: hosts Krista Siegfrids and Roope Salminen performing the song "Juontoharjoitukset" in semi 1, Robin performing a cover of the 1980 Finnish Eurovision entry "Huilumies" and his single "Miten eskimot suutelee?" in semi 2 and Chisu performing a cover of the 1962 Finnish Eurovision entry "Tipi-tii" and her song "Tähdet" in semi 3. Special guest acts for the show final included Krista Siegfrids covering the first 1961 Finnish Eurovision song, "Valoa ikkunassa", Finnish Eurovision 2015 entrants Pertti Kurikan Nimipäivät and Finnish Eurovision Song Contest 2006 winners Lordi. UMK final got 690,000 viewers, up from last year's 657,000, and record figure for the period after 2011. • Nigerian-born ClemSO is the stylistic ambassador for afrobeat rhythm and groove, color and shine. His songs are rich in the imagery of love and humanity. His song Thief ties together afrobeat, modern pop and Yoruba language in an interesting and international way. ClemSO has been making music for a long time and he has, for instance, previously sung in a Nigerian boy band (LOG2G1 Boys). The man of many academic degrees came originally to Finland to study, but now is the time for afrobeat. • If UMK were about longevity of career or the amount of hits, there would be no contest. Eini's first hit was a cover of Baccara's Yes Sir, I Can Boogie back in 1978! Often also referred to as ‘The Finnish Queen of Disco', Eini is still as active and as brilliant as ever and about to release a brand new cover album this January. • Mikko Herranen is a singer, songwriter, musician, sound engineer, producer and a real DIY man. For the past 20 years he's been involved in such bands as Velcra and RUST, played over 2000 gigs, been a contestant in The Voice of Finland and released many albums. There seems to be nothing he cannot do, which really is quite impressing considering he's also visually impaired. • The fusion of northern madness, reckless machismo, dance pop and a dash of country music may not sound like everyone's cup of tea but you shouldn't find this tune hard to digest. Champagne Heaven (Shamppanjataivas) awaits Julmari and JaBa a.k.a. Pää-äijät when they sail the seven seas – of at least a small slice of the Gulf of Botnia hoping to reach Stockholm this spring! • In 2011 Saara Aalto finished second in the Finnish national ESC selection but, at the same time she melted the hearts of the Finns with her enchanting voice and appearance. Since those days she has released five studio albums, one of which was sang in Mandarin Chinese and released in China. She's performed on big venues worldwide and starred in musicals. No Fear is Saara Aalto 2.0 and and she's ready to conquer the world. • A young lady with a deep, powerful voice and a guitar - that can be quite a compelling mix! Stella Christine comes from a musical family, has studied music for many years and is inspired by soul, r&b and jazz. This talented beauty wants to create music on her own terms which means she's written most of her songs by herself, including Ain't Got Time for Boys. • Big emotions and powerful voices – that's what this couple is all about. You may remember Kimmo Blom as Angelo De Nile in last years' UMK, but he's an established professional vocalist who has sung on various albums and done many roles in the world of musical theater. 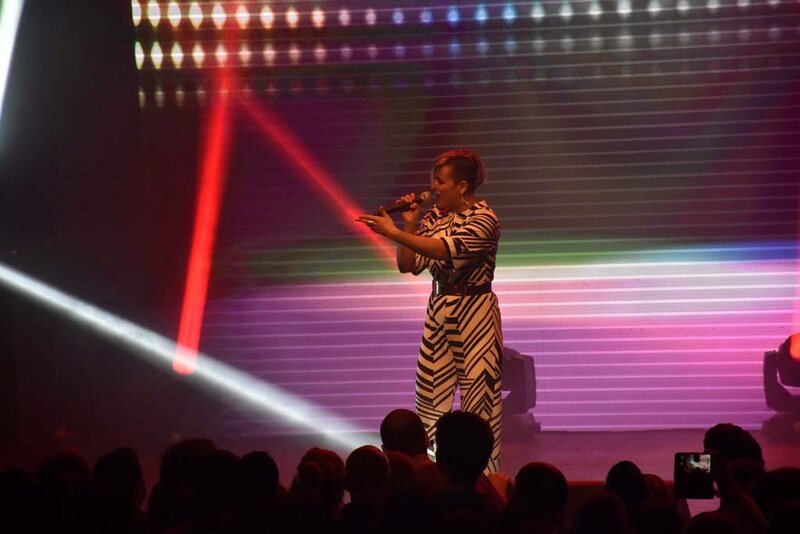 It was actually on a stage production where Kimmo met Annica Milán, a young and lovely talent who had already gained attention in The Voice of Finland. • 16-year old sparkly and bubbly twins Anni and Nina make catchy, melodic pop and Ready For The Show is their smashing debut. The Attention 2 girls are fans of One Direction and comic book superheroes as well as Jedward, the Irish twin duo all Eurovision fans are more than familiar with. Twin power! • The enfant terrible of Finnish dance pop Cristal Snow likes to do whatever hell he wants. And he's done a lot: besides music he's well known as a radio host and a participant in Finnish version of Dancing with the Stars, among other things. However, it has always been a dream of his to perform on stage at the Eurovision Song Contest and this year his dream may well come true with supercatchy Love is Blind. • Mikael Saari is a 27-year old singer-songwriter from the city of Lahti, Finland. The audience was charmed by him already back in UMK 2013 when his ballad We Should Be Through finished second in the contest only to be beaten by Krista Siegfrids' Marry Me! Lately Mikael has been working as an actor in various theaters around Finland but he also continues composing and performing music in various line-ups. 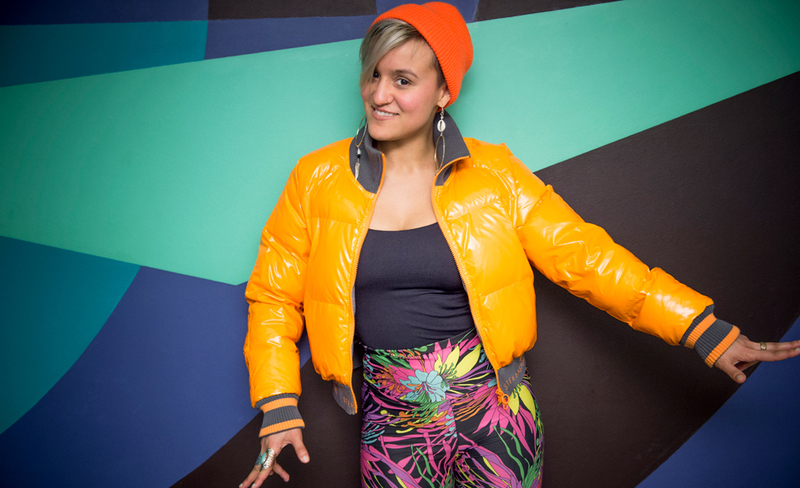 • Rafaela Truda is passionate about singing, rapping and dancing – the elements all of which are manifested and celebrated in her UMK 2016 song Rise Up. This young lady is a true cosmopolite as she was born in Macedonia, has lived most of his life in Finland and also worked longer periods in Norway. She may be a newcomer but she sure isn't shy. • 22-year old Ylona is a versatile songstress who has been performing with diverse lineups for many years. Her UMK 2016 song Blazing Fire was written by two Finnish hitmakers: Tero “Kaivo” Kaikkonen and Jaakko “JS16” Salovaara, one of the most talented and successful Finnish producers ever. Needless to say, Ylona's team is confident that Blazing Fire is perfect for big arenas – such as Globen in Stockholm. • When you hear Barbe-Q-Barbies' music you're instantly reminded of heyday sounds of such hard rock legends as AC/DC or Kiss. When you see them live it's like nothing you've seen before - they are an amazingly tight and energetic live band and have gained reputation also outside Finland having toured with such names as Girlschool, W.A.S.P. and New York Dolls. Their third album Driven was released in 2015. • Ladies and gentlemen: baila baila poom poom! Melodic and sunny dance pop doesn't really get better than this. The three Gušani Brothers - Irfan, Sami and Meho – are originally from Croatia and formed the trio in 2010 although the guys have been making music and performing since the tender age of 6. The brothers compose, play and produce everything by themselves and will no doubt climb to the top by themselves as well. • For this guy participating in UMK was really a game of chance. Thankfully Lieminen's record company loved his idea of representing Finland in ESC – so here we are! A ”singer-songwriter-slacker” from Helsinki, Finland, Lieminen has already released a number of well-received singles and actually releases his debut album on this day of the UMK press conference! • This band is known to combine various styles of music, from hip hop to jazz to blues and old rock'n'roll. Their music is both playful and groovy and each of the three maestros that form Pietarin Spektaakkeli (Pietari, Mitja and Tyko) is an established and respected musician. The group released their critically acclaimed debut album in 2015. • Sandhja is a young Finnish singer-songwriter with roots in India and Guyana. Her style is urban soul, her voice is powerful and her stage presence bursts with joy and positive attitude. Back in 2014 Sandhja released her debut album, which was loved by both critics and the audience. Now it's time for some new music & new challenges in UMK 2016. • Here's another familiar voice & face for those who've followed UMK over the past years (2012 and a band called Leola to be exact): Tuuli Okkonen may be in the early stages of her solo career but she has been singing all her life and the Finnish viewers became familiar with her in The Voice of Finland where she finished third in 2014. Her song Don't Wake Me Up deals with the moment you realize your heart is broken and in pieces. Сандья Куйвалайнен родилась 16 марта 1991 года в Хельсинки. Мать Сандьи - индийско-гайанского происхождения, а отец - финн, таким образом в ее жилах течет северная, западная и восточная кровь. По профессии Сандья - медсестра, и работала в госпитале Йорви. Также она выступала на национальном уровне в соревнованиях по кикбоксингу и боксу и завоевывала ряд медалей. В подростковом возрасте Сандья начала писать музыку и тексты, никогда не посещав ни музыкальную школу, ни беря уроки пения. Она хотела быть свободной в праве рассказывать то, что она действительно ощущает, и попытаться пробудить те же эмоции в своих слушателях. Искренность - краеугольный камень ее музыки. Истоки музыки Сандьи происходят со стороны ее матери - из Южно-американской Гайяны. Ее прабабушка была известной местной певицей, которая пела на свадьбах и похоронах. Пение было способом облегчить боль сложной жизни. Ее родители были вынуждены под давлением британцев покинуть родную Индию и отправиться работать на сахарных плантациях в Южной Америке. Прабабушка Сандьи родилась на корабле по дороге из Индии в Гайяну. Как исполнительница, Сандья видит себя продолжательницей дела своей прабабушки, передавать глубокие эмоции, веря в придающую силы и исцеляющую природу музыки. Сандья познакомилась с музыкальным продюсером в возрасте 18 лет, а в 21 год заключила контракт с лейблом. Она выпустила свой дебютный сингл "Hold Me" 15го ноября 2013 года. Журналист радиостанции YleX Пирита Пикяляйнен выбрала песню для эфира в Viikon teho, и она также одержала победу в голосовании Rytmibarometri vote. Песня была опубликована вместе с видеоклипом на нее, который снял в Израиле режиссер Вилле Нуорахон. Второй сингл Сандьи, "Gold", попал в Uuden musiikin iltavuorossa радио YleX, когда репортер Венла Кокконен поставила его на программе 24го февраля. Дебютный альбом исполнительницы "Gold" был выпущен 23го мая 2014. Сандья путешествовала в Гайяну и Ямайку для того, чтобы почерпнуть вдохновения для создания своего второго альбома "Freedom Venture", который выйдет в свет 29 апреля. С него уже были выпущены два сингла - "My Bass" и "Sing It Away", с которой она и представит Финляндию на Евровидении в Стокгольме. "У нас очень сильная тема "женской мощи" в номере. Со мной на сцене 5 бэк-вокалисток, которые поют и танцуют. Все они - мои хорошие друзья в реальной жизни, и потому проводить вместе с ними время на сцене - одно удовольствие! У нас очень сильное госпел-соул звучание в пении, и мы любим принимать участие в джем-сессиях", объясняет Сандья. "Поддерживать финское рукоделие и дизайн - очень важно для меня, потому наша цель использовать в нашем стиле для Евровидения в основном финские бренды, добавляет она. "Лейтмотив моей песни: выплесни это наружу, выпой это наружу. В жизни может быть множество сложных вещей, но если мы будем фокусироваться на радостных событиях, боль исчезнет. Попадание на Евровидение уже принесло мне узнаваемость, к которой я стремилась. Также оно приносит мне большой опыт в выступлениях перед большими зрительскими аудиториями и в прямом эфире. Евровидение дает мне возможность расширить свою музыкальную карьеру на всю Европу, что всегда было моей мечтой и главной целью"
Оба полуфинала и финал Евровидения в Финляндии выйдут в прямом эфире на телеканале Yle TV 2. Представительница Финляндии на Евровидении 2013 Криста Зигфридс будет передавать репортажи для Телевидения Финляндии о приключениях делегации Финляндии в Globen Arena и Стокгольме. За репортажами Кристы можно будет следить с 6го мая на сайте Yle.fi, а также в социальных сетях с хештегом #euroviisut. Превью шоу Esikatselumaraton выйдет в эфир в субботу 7го мая в 19:10 местного времени на Yle TV2. Четырехчасовой марафон проведет Ракель Лиекки, а превью клипы участников Евровидения оценит жюри из четырех членов, в которое, помимо прочих, войдут Яана Пелконен и Микко Силвеннойнен. Также и зрители смогут проголосовать за своих фаворитов. Шведскоязычный вещатель Yle Fem продолжит эфир своего превью шоу De Eurovisa по субботам до 7го мая в 21:00. Все выпуски программы также доступны на Yle Areena с финскими субтитрами. Yle Teema покажет в записи финские отборы на Евровидение 1989-1992 с 10:00 по 15:25 1го мая, а в четверг 5го мая в 16:30 на нем выйдет в эфир документальный фильм Кончита: Королева Австрии. 50 часов истории Финляндии на Евровидении также доступны в Живом Архиве. В четверг, 5го мая в 15:08-18:00 в эфир Yle Radio Suomi выйдет превью шоу. "С одной стороны победа в UMK ничего не изменила в моей жизни, но, с другой стороны поменялось достаточно многое", говорит Сандья в интервью Lansivayla. "Люди стали узнавать меня на улицах, я стала давать множество концертов, у меня появились новые поклонники, меня стали ценить как музыканта, но я все также хожу в кафе как и делала раньше". Как композитор и поэт Сандья является самоучкой. Она говорит, что почувствовала некую внутреннюю потребность начать создавать музыку. В подростковом возрасте, Сандья начала писать стихи, а затем стала класть их на мелодии. Ее первое публичное выступление прошло в ее средней школе в Эспо. "Я пела на школьном вечере, какую-то соул музыку в сопровождении фортепиано. Я училась тогда в третьем классе, и первоклашки просили у меня автографы. Я говорила им, что я же не звезда, но они отвечали, что вдруг я когда-то ей стану", вспоминает Сандья. "Для меня участие в Евровидении важно прежде всего, потому что в моей песне содержится определенный посыл. И замечательно донести до слушателей что-то воодущевляющее, подобное Sing it away", говорит она. Идея принять участие в UMK принадлежала ее рекорд-лейблу. "Я спонтанно писала музыку и даже не мечтала об участии в каких-то песенных конкурсах. Но, в конце-концов, идея пришлась мне по душе, потому что я посчитала, что попасть на телевидение будет важно для того, чтобы большее количество людей смогло познакомиться с моей музыкой". Поп, фолк и соул всегда были самыми интересными жанрами для Сандьи и являются ее музыкальными корнями. Также ей нравится электронная, воздушная музыка. "Я долго думала о том, как можно их соединить, или мне лучше их держать по-отдельности". Сандья хочет продолжать петь на английском, который является ее вторым языком. "Для меня легче писать песни о любви на английском, выходит более художественно, мне кажется что финские тексты часто несут с собой ощущение меланхолии или слишком прямой реализм". Параллельно с первыми шагами в музыке Сандья училась на профессию нянечки. Она продолжает сохранять свои профессиональные качества, подрабатывая в госпитале Йорви. Однако, в будущем ее целью является зарабатывать себе на жизнь музыкой. "В последнее время я много думаю о том, как бы я смогла продвигать женское сотрудничество в области музыки. Сейчас в этой области доминируют мужчины. В будущем я хотела бы писать музыку для других исполнителей и помогать новым артистам пробиться на вершину. Это можно реализовать через 5-10 лет. Сейчас приоритетом для меня является создание собственной карьеры". Календарь Сандьи настолько полон, что она еще не задумывалась о своем будущем после Евровидения. "У меня есть несколько договоренностей о концертах на лето, но чем я еще буду заниматься в основном зависит от исхода конкурса в Стокгольме". Перед Евровидением Сандья отправилась в Израиль, где выступила на промо-вечеринке, дала интервью местной и международной прессе и приняла участие в других мероприятиях. В то же время она и ее команда продолжают оттачивать сценический номер на ее конкурсную песню. Костюмы и акксессуары для Сандьи она подбирает при помощи стилиста Ханны Руа. Идея состоит в том, чтобы создать похожие платья и ювелирные изделия для всей команды Финляндии, в которую помимо Сандьи войдут 5 бэк-вокалисток (а диджей, который выступал в национальном отборе больше в номере присутствовать не будет). "Это довольно сложная задача, потому что все женщины отличаются по росту и внешнему виду", говорит Ханна. "Для реализации ее мы искали партнерство с небольшими финскими дизайнерскими брэндами", говорит она. "Сейчас, после возвращения из Израиля, я все еще должна завершить работу над полировкой номера до отбытия на Евровидение в Стокгольм. Сценический костюм у меня будет потрясающим, я с нетерпением жду возможности показать его всем", говорит Сандья, которая отправится в Стокгольм первого мая. Все выпуски финского шведскоязычного превью шоу Eurovisa были размещены сегодня на YLE Areena. Также следить за ним можно в эфире телеканала YLE Fem по субботам в 21:00 местного времени. Представительница Финляндии на конкурсе Евровидение Сандья исполнит национальный гимн Финляндии в предстоящую субботу в Hartwall Arena на вечере профессионального бокса, завершением которого станет поединок между Робертом Хелениусом и Жоаном Дюапа в матче претендентов WBC. "Я испытываю такие же чувства, как и от выступления на самом Евровидение. Очень ценное и в то же время патриотичное чувство. Я знаю, что буду очень воодушевлена возможностью повлиять на атмосферу в зале", говорит певица. Финское шведскоязычное превью шоу De Eurovisa начнет выходить в эфир телеканала YLE Fem начиная с 9го апреля. Съемки шоу начнутся на следующей неделе, и в нем примут участие 10 гостей: 1я программа: радио и тв ведущая Hannah Norrena и Janne Engblom (Евровидение 1990), 2я программа: блоггер Lilian Brunell и композитор Patric Sarin, 3я программа: Ami Aspelund (Евровидение 1983) и Paul Uotila из Satin Circus, 4я программа: Geir Rønning (Евровидение 2005) и Rafaela Truda (UMK16), 5я програма Marika Krook (Евровидение 1998) и блоггер David Lindström. Как обычно, ведущими шоу станут Johan Lindroos и Eva Frantz. UMK (Конкурс для новой музыки) вновь выступил финским отборочным туром на конкурс Евровидение. Правила национального отбора на английском языке можно найти здесь. Демоверсии заявок принимались с полудня 1го по полдень 8го сентября. Артисты имели право подать заявку в качестве соло исполнителей только с одной песней. По меньшей мере один из авторов и все солисты песни должны быть гражданами Финляндии или постоянно проживать в ней. Всем исполнителям должно исполниться 16 лет на 10 мая 2016 года. Демоверсия песни могла быть свыше трех минут, но если конкурсанты проходят на Евровидение, то они обязуются в соотвествии с требованиями ЕВС подготовить трехминутную версию своей песни. То же самое относится к сценическим выступлениям, в национальном отборе на сцене может находиться любое количество человек, но конкурсанты должны принять во внимание, что согласно правилам ЕВС, на Евровидении могут выступать не более шести человек. Заявленная песня не должна публиковаться до официальной презентации их в рамках UMK. Демо должны быть спетыми, быть высокого стандарта записи, и помимо мелодии содержать как минимум идеи финальной аранжировки песни. Участники, прошедшие в следующие раунды, должны были подготовить финальные версии своих композиций или независимо, или работая вместе с представителями, назначенными телеканалом Yle. Экспертное жюри, назначенное Yle отобрало песни и артистов, которые прошли в следующую, телевизионную стадию отбора. 15-секундные инструментальные отрывки композиций были опубликованы в Instagram 1го января. Официальный список полуфиналистов и их песни были представлены 12 января, и прослушать их можно здесь. В маркетинговых целях, на каждую участвующую песню был снят видеоклип. Телевизионная часть отбора началась с ознакомительного шоу, которое вышло в эфир 30го января в 21:30 на Yle TV2, где были представлены видеоклипы участников конкурса и публика смогла проголосовать за лучший из них. Видеоклипы также оценило жюри, в которое вошли актриса Essi Hellén, телеведущий и журналист Mikko Silvennoinen, телеведущая (нац.отборов 2005-11, Евровидения 2007) Jaana Pelkonen и радиоведущий Tommi Manninen (YleX). Телезрители также были приглашены к оценке клипов на сайте YLE. С 31го января по 19 февраля участники стали гостями прямых эфиров на Facebook странице UMK, расписание эфиров вы можете найти здесь. Три полуфинала вышли в прямой эфир Yle TV2 из студии YLE в Пасила, Хельсинки 6, 13 и 20 февраля в 21:00 местного времени. Из каждого полуфинала в финал выходили по три участника, выбранные телезрителями, таким образом в финале встретились девять исполнителей, где их уже оценивали не только зрители, но и жюри. В отборе можно было проголосовать заранее, онлайн, бесплатно, путем создания YLE аккаунта, в то время, как во время эфира зрители смогли проголосовать по телефону. Доходы от телеголосования поступили в благотворительную организацию "Nenäpäivälle" (Nose Day Foundation), занимающуюся различными проектами в развивающихся странах. Желающие стать гостями в студии должны были заполнить специальную форму. Ведущими шоу были знакомые лица: известный финский актер/певец/рэппер Роопе Салминен, который уже вел отбор ранее, и бывшая его победительница и представительница Финляндии на Евровидении 2013 Криста Зигфридс, а Ракель Лиекки брала интервью у артистов в гринруме. Ракель Лиекки и Микко Силвеннойнен были ведущими афтершоу программы. Yle компенсировало участникам некоторые расходы на перелеты и логистику, если они были обговорены с телеканалом заранее, и не включали в себя затраты на приезд из-за рубежа. Песня-победитель стала известна во время прямого эфира финала шоу UMK 27 февраля 2016 года на телеканале YLE TV2 и радиостанции Yle Radio Suomi, а также с комментарием на шведском языке Евы Франц и Йохана Линдрооса на Yle X3M. Интервал-актами полуфиналов стали: ведущие шоу Криста Зигфридс и Роопе Салминен с песней "Juontoharjoitukset" в 1 полуфинале, Robin с кавер-версией песни Финляндии на Евровидении 1980 "Huilumies" и своим сингл "Miten eskimot suutelee?" во 2м полуфинале и Chisu с кавер-версией песни Финляндии на Евровидении 1962 "Tipi-tii" и своей песней "Tähdet" в 3 полуфинале. Специальными гостями финального шоу стали Криста Зигфридс с первой песней Финляндии на Евровидении "Valoa ikkunassa", представители Финляндии на Евровидении 2015 Pertti Kurikan Nimipäivät и победители Евровидения 2006 Lordi. Финал шоу собрал 690 тысяч зрителей, что больше прошлогодних 657 тысяч. Это - самое высокое число, начиная с 2011 года. • Певец нигерийского происхождения ClemSO - музыкальный посол афробит ритма и грува, ярких цветов и красок. Его песни посвящены любви и человечности. Песня "Thief" связывает воедино афробит, современный поп, язык Йоруба интересным и международным способом. ClemSO уже очень давно занимается музыкой, например, ранее пел в нигерийской группе LOG2G1 Boys. Изначально он приехал в Финляндию, чтобы учиться, получил несколько высших образований, и после этого время пришло и для авфробита. • Если бы в UMK засчитывались длительность карьеры и количество хитов в ней, то у нее не было бы соперников. Первым хитом Eini была кавер-версия песни Baccara "Yes Sir, I Can Boogie", вышедшая в 1978! Эйни, которую часто называют "Финской королевой диско", продолжает активную музыкальную карьеру, и готовит к выпуску в январе новый альбом кавер-версий международных хитов. • Mikko Herranen - певец, автор песен, музыкант, саундинженер, продюсер, делающий все собственными руками. За последние 20 лет он поучаствовал в таких группах, как Velcra и RUST, сыграл свыше 2000 концертов, принял участие в Голосе Финляндии и выпустил множество альбомов. Кажется, что несмотря на то, что у него очень плохое зрение, для него практически не существует границ. • Смесь современного нордического сумасшествия, безрассудного мачизма, танцевальной поп музыки с небольшим налетом кантри понравится не всем, но переварить данный трек труда не должно составить. Рай из шампанского (Shamppanjataivas) ожидает Юлмари и ЙаБа, известных также как Pää-äijät, когда они переплывут семь морей, ну или хотя бы небольшую часть Ботнического залива, чтобы попасть в Стокгольм этой весной. • В 2011 году Saara Aalto заняла второе место на финском национальном отборе, и смогла растопить сердца финских зрителей своим ярким голосом и внешностью. После этого, она выпустила пять студийных альбомов, включая один на китайском языке, вышедший в Киетае. Саара выступала на крупнейших площадках мир и принимала участие в мюзиклах. No Fear демонстрирует версию 2.0 Саары Аалто, и она готова к полному завоеванию мира. • Молодая женщина с глубоким, мощным голосом и гитарой - это довольно неотразимая смесь! Stella Christine происходит из музыкальной семьи, училась музыке много лет, ее творчество вдохновляли соул, r&B и джаз. Эта талантливая красавица хочет создавать собственную музыку, написав большинство из исполняемых ею песен сама, включая и Ain't Got Time for Boys. • Большие эмоции и мощные голоса - вот суть этого дуэта. Вы можете вспомнить Kimmo Blom по псевдониму Angelo De Nile в национальном отборе прошлого года, но помимо того - он опытный профессиональный вокалист, который пел на различных альбомах и сыграл множество ролей в мире музыкального театра. Именно на сцене Киммо и познакомился с Annica Milán, молодой талантливой певицей, известность к которой пришла благодаря ее участию в Голосе Финляндии. • 16-летние игривые близнецы Анни и Нина поют мелодичный поп, и песня Ready For The Show - это их яркий дебют. Дуэт Attention 2 - поклонницы группы One Direction, супергероев из комиксов и ирландских близнецов Jedward, с которыми знакомы все фанаты Евровидения. Twin power! • Несносный ребенок финской танцевальной поп музыки Cristal Snow любит делать только то, что нравится ему самому. И он уже сделал очень многое: помимо музыки, он является радиоведущим и принял участие в финской версии программы Танцы со звездами. Но его мечтой всегда остается выступить на сцене Евровидения, и возможно на этот раз его мечте суждено будет реализоваться благодаря запоминающейся песне Love Is Blind. • Mikael Saari - 27-летний певец и исполнитель из города Лахти, Финляндия. Зрители были покорены им еще в UMK 2013, где, исполняя балладу We Should Be Through он занял второе место, проиграв ведущей шоу этого года Кристе Зигфридс. В последнее время Микаель работал в качестве актера в различных финских театрах, а также продолжал писать и исполнять музыку. • Rafaela Truda интересуется пением, чтением рэпа и танцами - все эти элементы присутствуют в ее конкурсной песне Rise Up. Эта молодая женщина - настоящий космополит, она родилась в Македонии, большую часть своей жизни жила в Финляндии и достаточно долго работала в Норвегии. Может быть она и новичок, но не страдает скромностью. • 22-летняя Ylona разносторонняя певица, которая выступала в последние годы с различными командами. Ее конкурсная песня Blazing Fire была написана двумя финскими хитмейкерами: Теро "Кайво" Кайкконеном и Яаакко "JS16" Саловаара - одними из самых талантливых и успешных финских продюсеров. Не нужно говорит, что команда Илоны уверена в том, что Blazing Fire идеально подходит для крупных арен, таких как Globen в Стокгольме. • Когда вы слышите музыку Barbe-Q-Barbies, то она немедленно напоминает вам звучание таких хард-рок легенд, как AC/DC или Kiss. А когда вы видите их живое выступление, вы понимаете, что никогда ничего подобного еще не видели - они потрясающе энергичная группа, заработавшая себе репутацию также за пределами Финляндии, выступая с такими артистами, как Girlschool, W.A.S.P. и New York Dolls. Третий альбом коллектива "Driven" был выпущен в 2015 году. • Леди и джентльмены: baila baila poom poom! Не может и быть более хорошей мелодичной и солнечной танцевальной поп музыки. Трое Gušani Brothers - Ирфан, Сами и Мехо - родом из Хорватии, и сформировали трио в 2010 году, хотя пишут музыку и выступают они с шести лет. Братья сами пишут, поют и продюсируют свои песни, и готовы также самостоятельно вскарабкаться на самую вершину. • Для этого парня участие в UMK оказалось практически делом случая. К счастью, рекорд лейблу Lieminen'а понравилась его идея - представить Финляндию на Евровидение - и вот они здесь! "Певец-автор-бездельник" из Хельсинки, Лиеминен уже выпустил ряд успешных синглов, а его дебютный альбом вышел в день пресс-конференции UMK! • Эта группа известна своими сочетаниями различных стилей музыки, от хип-хопа, до джаза, блюза и олдскульного рок-н-ролла. Их музыка как игривая, так и волнующая, и каждый из трех маэстро, что входят в состав Pietarin Spektaakkeli (Пиетари, Митя и Тико) - опытный и уважаемый музыкант. Группа выпустила свой дебютный альбом, положительно встреченный критиками, в прошлом году. • Sandhja - молодая финская певица и автор песен с корнями в Индии и Гайане. Ее стиль - урбан-соул, у нее мощный голос, а ее сценические номера наполнены радостью и позитивом. В 2014 году Сандья выпустила свой дебютный альбом, который полюбился как критикам, так и простым слушателям. Теперь пришло время для новой музыки и новых вызовов в UMK 2016. • Это еще одно знакомое лицо и голос для тех, кто следил за UMK в прошлые годы (2012 год и группа Leola): Tuuli Okkonen находится в ранней стадии своей сольной карьеры, но поет всю свою жизнь, и финские зрители уже смогли поближе познакомиться с ней в программе Голос Финляндии, где в 2014 году она заняла четвертое место. Песня Don't Wake Me Up рассказывает о том моменте, когда твое сердце разбито на множество осколков.